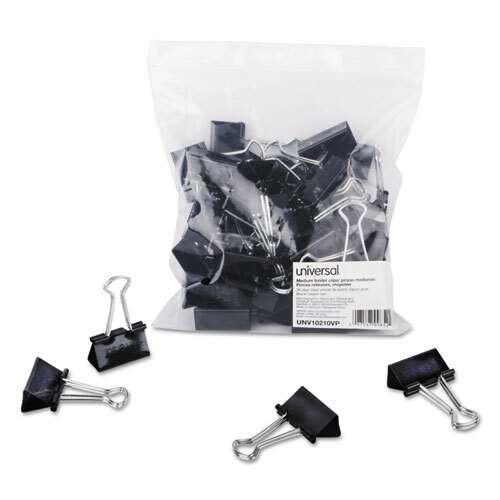 Ultra-efficient binder clips feature handles that can be hung, folded flat against clipped material, or removed for permanent binding. Efficient triangular design provides optimum strength and compression. Value Pack -- Stock up and save! Clip/Clamp Type: Binder Clips.